Ukrainian people are generally warm, hospitable and curious. They are said to be survivors. The 700 years of invasion and colonialism allowed Ukrainians to experience extremely difficult times. Twenty million Ukrainians live in many parts throughout the world, while 37 million are left in the country. There are three million Ukrainians in Russia alone, while a million others live in different parts of America. Most Ukrainians are followers of the Orthodox Church and the Ukrainian Greek Catholic Church. Seventy percent of the population are literate (or have secondary or higher education). Ukrainians are friendly people who often gather to socialize. One of their common practices is to spend time at a friend's house and chat over a cup of tea. A country like no other, some of Ukraine's biggest assets are its natural beauty, rich culture and beautiful people. 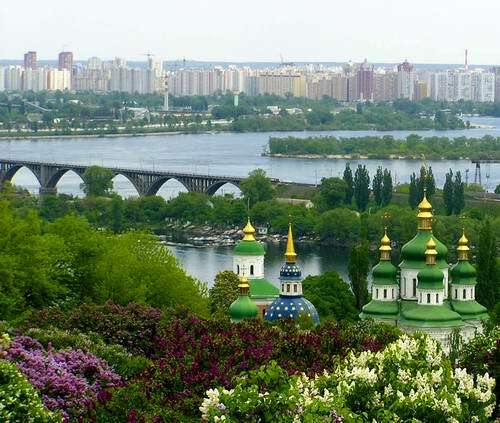 In the recent years, tourism in Ukraine has increased. 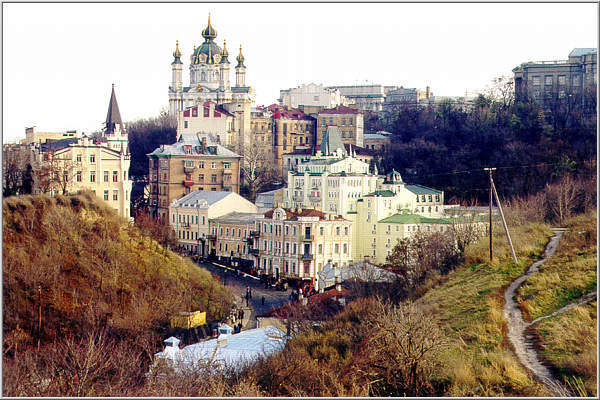 The cities of Ukraine are filled with preserved monuments, buildings, archaeological sites and palaces. In fact, many of its well-preserved natural sites are now listed as UNESCO World Heritage sites. 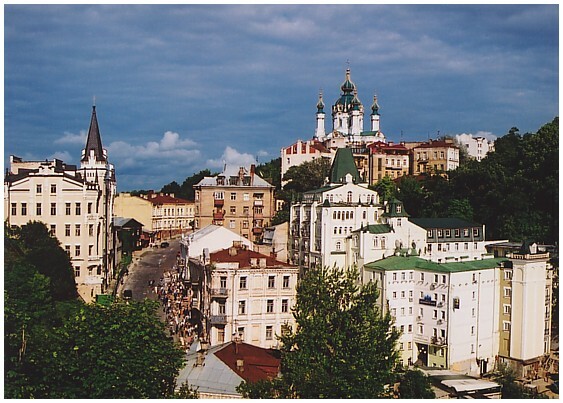 Tourists will find so much to visit and so much to do, which is why there is no dull moment when touring Ukraine. The country is a hidden gem that is starting to be discovered. Ukraine is home to the most beautiful churches in the world. It is also rich in many natural resources such as mineral salts, colored metal, oil, gas, coal and ore. Ukraine produces ships and planes, buses, motorcars, locomotives, motorcycles, computer equipments, chemicals, textiles and other consumer goods. Ukraine is a flat country with some mountains located at the Crimean peninsula. It is the second largest country on the continent of Europe (second to Russia) with an area of 233,090 square miles. In terms of size, it is the 43rd largest country in the world and 25th in terms of population. Ukraine's landscape is composed of fertile soil and endless flat lands. 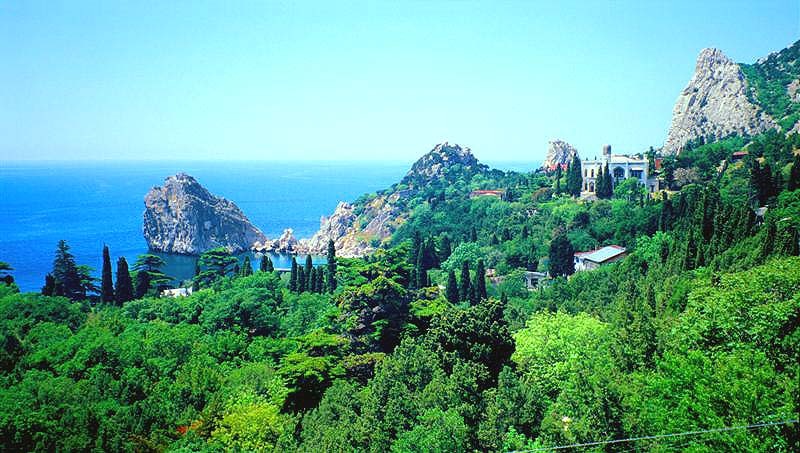 The country experiences a moderately continental climate with hot summers and mild winters, while the Crimean coast experiences a Mediterranean climate unlike the rest of the country. 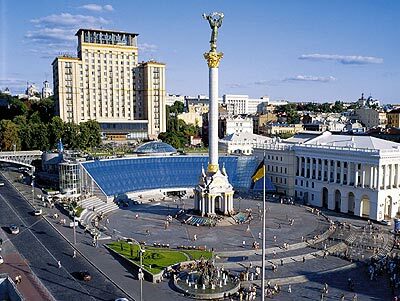 Kiev is both the capital and largest city in Ukraine. Other major cities include Kharkiv, Dnipropetrovsk and Odessa. Although Ukraine has had its name since the 11th century, it has only been able to enjoy short periods of independence. Nationalism started to evolve in the beginning of the 20th century during the collapse of the Russian empire and breakup of the USSR. The history of Ukraine began during the establishment of the Kievan Rus during the 10th and 11th centuries. With the fall down of the Tsarist regime in the year 1917, the country got to enjoy a short, three-year independence. However, it soon ended and the country was again placed under the rule of the Soviet Union. With Ukraine's continued resistance to the pressure of forming a new Union with Russia, the country declared its independence in August 1991. They became free from any foreign control, yet struggled with Russia's economic influences. Lack of political consensus, endemic corruption and other essential factors resulted in the country's economic decline. Today, Ukraine is doing better in terms of its economical status. Ukraine has so much to offer tourists. Several famous attractions of the country attract many foreigners from all over the world. One of these is the St. Sophia Cathedral and Monastery which was built back in the 11th century. Located at Kiev (capital of Ukraine) are the Cathedral of St. Vladimir, the Golden Gate, Andreyev Hill, Museum of Ukrainian Art, the Opera House and Ukraine's Historical Museum. Some of the most famous Ukrainian sites also include the National Museum, the Pharmaceutical Museum, the Antique Armory, the Opera House of Ivan Franko, Museum of History and the city of Odessa that is famous for its Potemkin Stairway that has 192 steps. These are only some of Ukraine's world-class attractions that are visited by millions of tourists every year. Generally, nightlife in Ukraine is fun, thrilling and enjoyable. Most Ukrainians are very open-minded when it comes to trying new things. Several discos, nightclubs, pubs and other places of entertainment can be found in many places of Ukraine during the night. 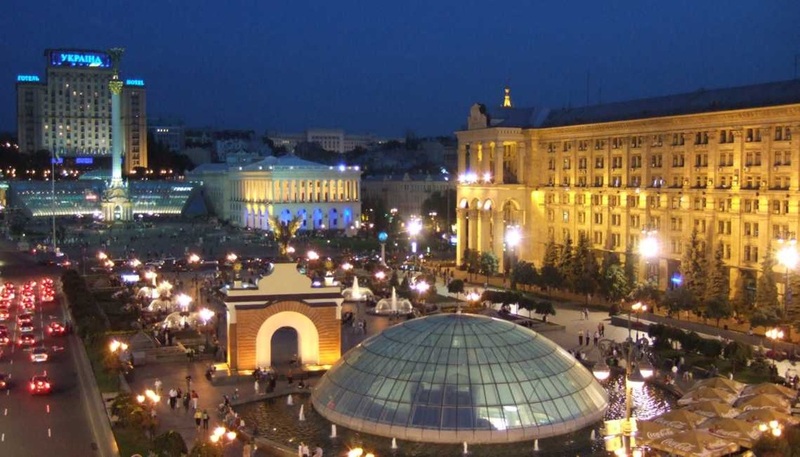 Kiev has the most active nightlife in the whole country. It is the best city to stay in if you are into lively night activities. Many of the establishments remain open even after midnight. If you are looking for other places of entertainment, it is best to befriend locals who can recommend the best places to spend the night. The culture of Ukraine, just as in many countries, isn't purely its own but is a mixture of a variety of cultures from different lands. Ukraine celebrates several holidays and festivities. Some of these are New Year's Day, Eastern Orthodox Christmas, Easter, Women's Day, Spring and Labor Day, Victory Day and Ukrainian Independence Day. Ukrainians are very polite and chivalrous. Men open the doors for women, stand up when a woman enters a room and give up a seat if they see a woman standing. In rural areas, kissing a woman's hand as a sign of respect is still practiced, although it is starting to go out of fashion. Food is one of the most important aspects of the Ukrainian culture. Famous for its unique flavors, the Ukrainian cuisine is influenced by a variety of cultures including Polish, German, Turkish and Russian. Many of the Ukrainian cuisines are actually simple to make, yet only a few people (mostly native Ukrainians) get the perfect taste when cooking them. Ingredients are used in what other people would consider to be unusual combinations. Special menus are prepared during special occasions such as Easter and Christmas. During Christmas, "kutia" (combined poppy seeds, honey, special sweet breads, and buckwheat groats) is one of the most common dishes. Meals are usually served in very generous quantities. Ukrainian cooking uses spices such as red pepper, black pepper, bay leaf and dill. Main ingredients include vegetables, berries, fruits, herbs, meat and mushrooms. Other ingredients also include potatoes, cabbage, pork, fish and sausage. Potato is one of the most common ingredients among most of the Ukrainian dishes.